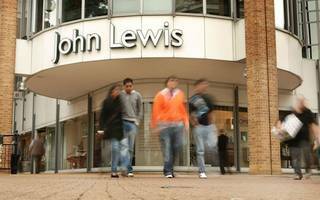 John Lewis is the top big retailer to work for the in the UK, according to analysis of reviews from staff. The department store topped a ranking produced by jobs site Indeed based on ratings given by employees of the firm. John Lewis is, famously, a partnership, giving all staff annual bonuses depending on the size of its profits. Beauty products retailer Lush Cosmetics came in second in the ranking, followed by Swedish furniture giant Ikea. Marks and Spencer was the best-performing food retailer, coming fourth overall. It beat John Lewis's supermarket arm, Waitrose, in ninth place and Sainsbury's, in 15th place. Kevin Walker, senior director of employer insights at Indeed, said: “While the need to earn a salary is the imperative that makes us go to work, people judge their job on more than just money. "The jobs market is tight and there’s stiff competition for the best talent – that’s why good brands all offer their employees a range of benefits and flexible working. Our research shows great brands are the ones whose staff feel valued, well managed – and part of a positive company culture."